I love this interview as it is so intimate and packed with very straightforward advice. 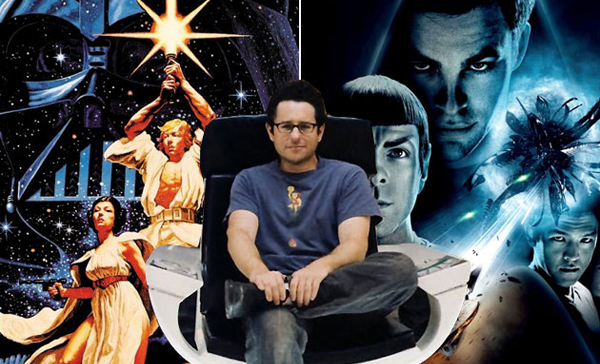 J.J. Abrams (Star Trek Into Darkness, Lost, Super 8) fills us in on balancing intimacy with hyperreality, why TV leaves room for surprises and the best advice he's ever been given. It takes no imagination to live within your means. Yesterday I watched the Hearts of Darkness: A Filmmaker's Apocalypse about the making of Apocalypse Now. It is an amazing documentary where we see Francis Ford Coppola under the pressure of filmmaking and the toll it takes. There is a lot to be learned by how he handles the intense situation. While I was in Coppola mode I came across this great interview. Coppola talks about risk, money, the craft, collaboration, and the wise rules he has developed over the last 45 years in the business to govern his filmmaking. I loved how he answered this question on distribution and commerce. How does an aspiring artist bridge the gap between distribution and commerce? As I said great interview and you can read the rest of it at the link posted below. So in a sense I see myself as composer, the only way for me to make money is to travel or journey with the orchestra of creative independents and be the conductor or curator of ideas, because then I can get paid as a platform provider or businessman. I must not think of filming or royalties. As Coppola said, "we must try to disconnect the idea of cinema with the idea of making a living and money.” Meaning we each have to build our own suitable platforms to fund our projects. If you want to see a true platform in action to model your own on then take a look at what Ryan Koo is doing over at No Film School.